VANCOUVER, BC – December 17, 2015 – RepliCel Life Sciences Inc. (OTCQB: REPCF) (TSX.V: RP), a clinical stage regenerative medicine company focused on the development of autologous cell therapies, today announced that the first injections of study products have been completed in the phase 1 clinical study (NCT02391935) evaluating RCS-01, an autologous cell-based skin rejuvenation product. RepliCel is developing RCS-01 as a longer-lasting, more natural alternative to existing dermal fillers on the market which often have only short-term results. RepliCel’s RCS-01 cell therapy uses a participant’s own replicated fibroblast cells, isolated from their hair follicles, to rebuild the collagen, elastin and other glycoproteins that provide structural support and stability to the skin’s extracellular matrix – intended to return skin back to its youthful appearance. 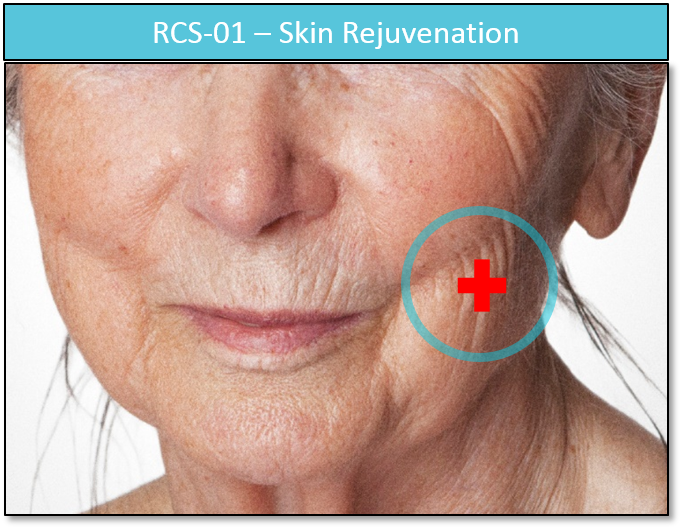 The single-centre study, being conducted in Germany, will evaluate the safety and tolerability of injecting RCS-01 into adult patients with aged and wrinkled skin. The study is projected to include 30 volunteer participants selected based on their health status, current/past medications and ability to adhere to protocol-related requirements. After providing informed consent, participants will be evaluated against the study inclusion/exclusion criteria and will provide blood samples for screening assessments. If selected for participation, four treatment evaluation sites will be identified on the buttocks – two on each side and a biopsy will be taken from the scalp from which RCS-01 will be prepared. Participants will be randomized into one of two treatment groups; one will receive injections of RCS-01, placebo and a ‘sham’ injection (a needle penetration without injection of liquid) while the other (placebo) group will only receive placebo and ‘sham’ injections. The primary purpose of this study is to assess the safety profile of RCS-01 injections. The study will also measure the impact RCS-01 injections have on skin markers related to aging through evaluation of gene expression profiles. The data collected from this trial will provide crucial information on the safety of injections RCS-01 and will provide a glimpse into how the product may improve the skin's appearance in areas of aesthetic importance. This data will also support the design of future clinical trials that will further evaluate the efficacy of RCS-01 in the treatment of UV-damaged/aged skin. For more details on the clinical trial click here.